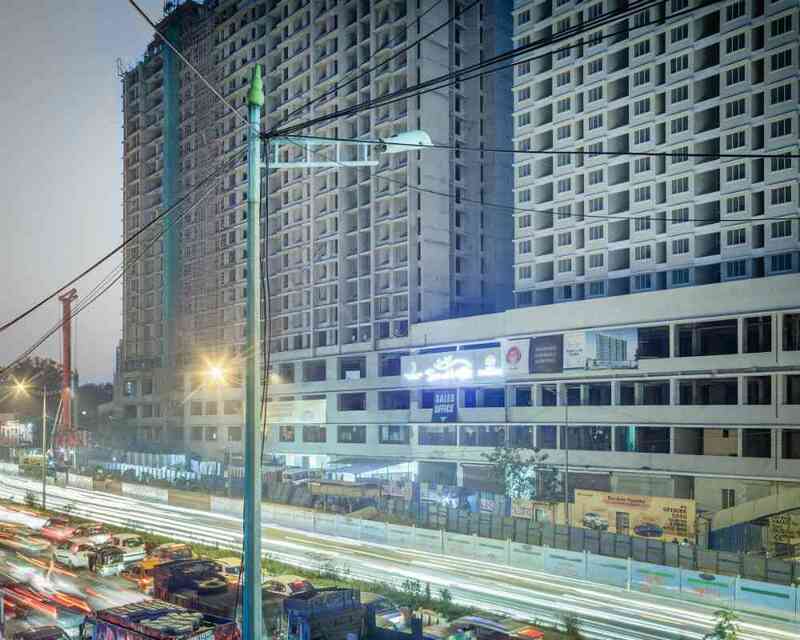 Unlike other photographers who are charmed by the historic appeal of South Mumbai, Peter Bialobrzeski is captivated by the contradictions of the city’s suburbs. Peter Bialobrzeski was up before the sun every day during his stay in Mumbai last year. While the city slept, the photographer would walk through the suburban neighbourhoods with his tripod and camera. By the time he found the perfect spot and set up his equipment, the city would be wide awake: the markets open for business, streetside vendors selling their wares, and people heading out for work. 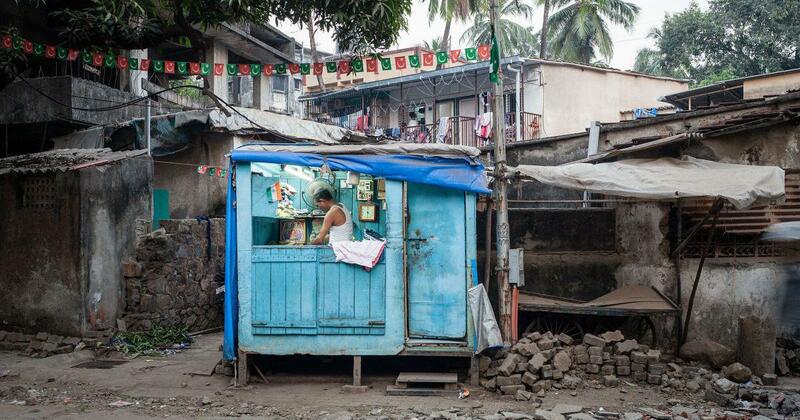 Bialobrzeski’s fascination for Mumbai’s suburbs began in 1987, when he first visited the city and saw its “contrast, the poverty and the energy”. 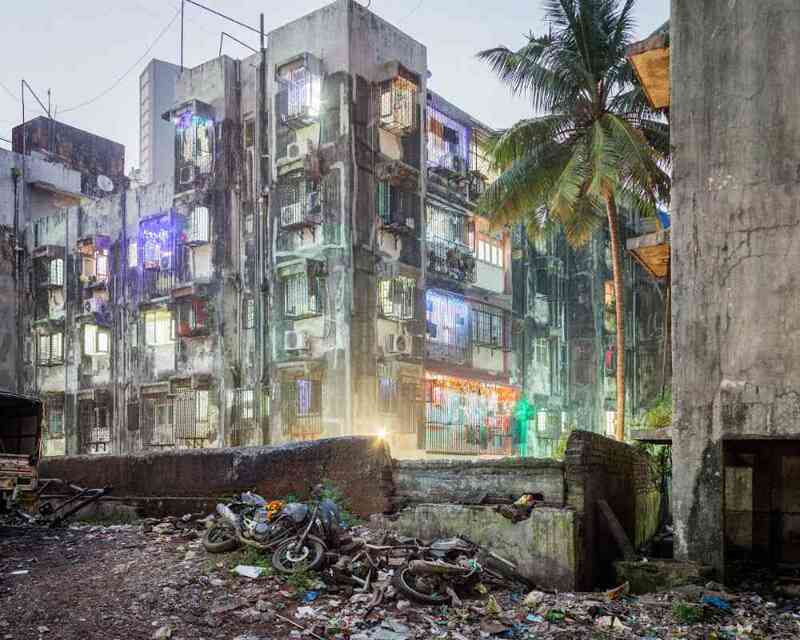 Unlike other photographers who were charmed by the historic appeal of South Mumbai, Bialobrzeski was captivated by the suburbs, where “everything is really happening and you can feel the change around you”. He returned to some of those neighbourhoods in October-December 2017, during an art residency at the Goethe Institut-Max Mueller Bhavan. 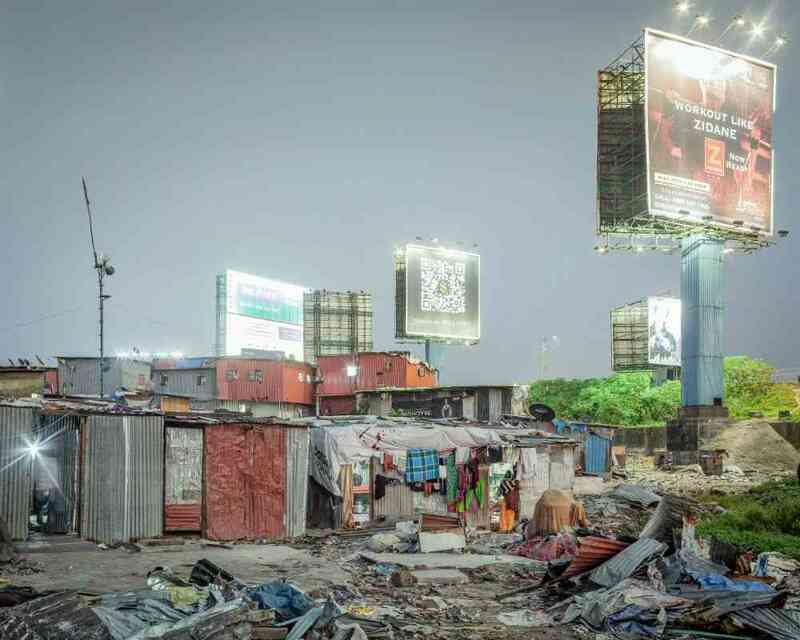 In Bandra, Andheri, Goregaon, Juhu, Vikhroli and Malad, he photographed the contradictions in the landscape – from the sprawl of shanties to the construction of high-rises. Their disorder was a far cry from the leafy, quiet suburbs of Hamburg, where he lives. 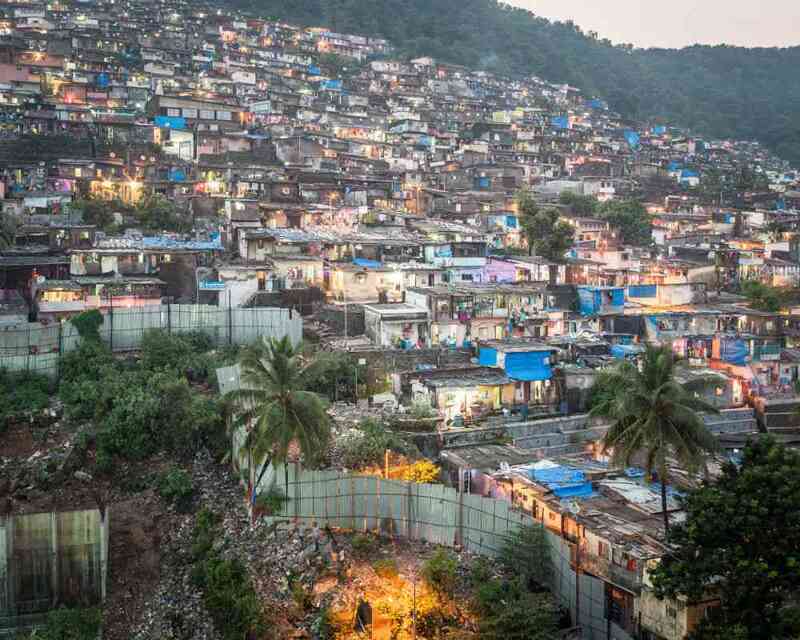 Twenty-five of those photographs are currently on display in the institute at a solo exhibition titled Mumbai Suburbia: Urban Environment in Crisis. “I wanted to focus on the abstract complexity of the real situation,” said Bialobrzeski. “It’s not even so much about the contrasts or what you see in the picture, but more about what it makes you feel when you see the photographs, an immediate response to the exhibition.” Bialobrzeski’s photographs are layered. There’s an underlying sense of melancholy in the images, which show shops, wires crisscrossing in the sky, half-torn tarpaulin sheets hanging off tin roofs and walls blackened by grime and rain. Bialobrzeski’s photographs reveal many juxtapositions. 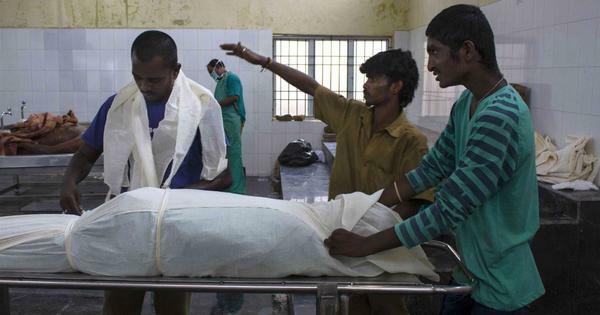 In one picture, a press-wala is immersed in his work. His shop has images of Hindu goddess Lakshmi and saint Sai Baba hanging on its wooden walls along with a flag of India. Outside the shop, strung from the lampposts are Islamic flags. 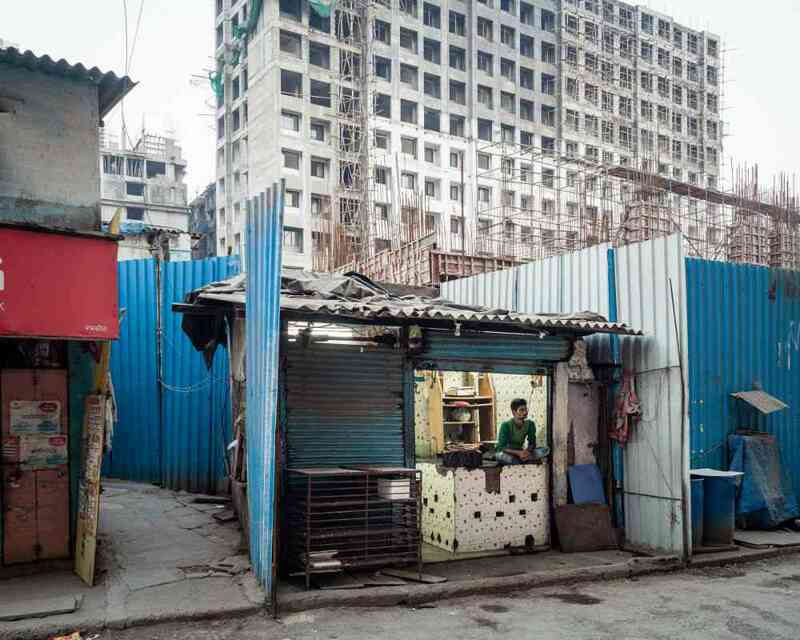 Mumbai Suburbia: Urban Environment in Crisis is on display at Goethe Institut-Max Mueller Bhavan in Kala Ghoda, Mumbai, till November 26. All photographs by Peter Bialobrzeski.